As a principal, chief operating officer, and chief compliance officer at Douglass Winthrop Advisors, Tim Hughes has over two decades of experience in financial services, including numerous leadership roles at management firms. Born in New York, Tim holds a B.A. in math and economics from Bowdoin College and a J.D. and M.B.A. from the University of North Carolina at Chapel Hill. 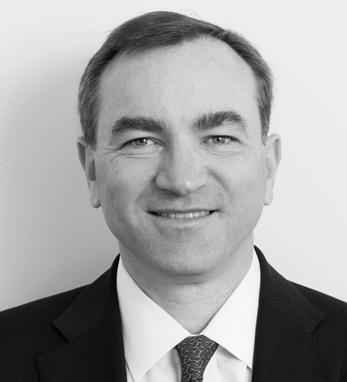 Prior to joining Douglass Winthrop, he served as CFO and chief compliance officer at 484Wall Capital Management. Tim is a second-generation Irish American with roots in Letterkenny, County Donegal and Bohola, County Mayo. He sits on the board of the Paul O’Dwyer Foundation, named for Tim’s grandfather, former president of the City Council of New York City. “From as early as I can remember, I have been immersed in Irish culture here in New York,” says Tim. “Being part of a large Irish family and Irish community brings a deep-seated feeling of comfort and belonging.” Tim lives in Darien, Connecticut, with his wife, Michelle, and children, Evan, Quinn, and Jackson.